Lee Schmidt 1993 18 72 7015 25 minutes from downtown. 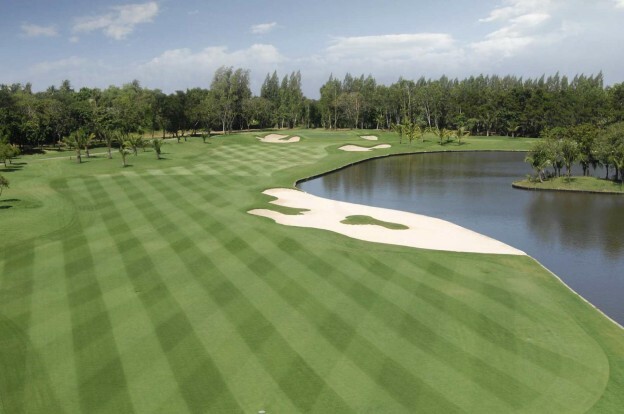 Muang Kaew Golf Club is without a doubt one of the finest 18-hole golf courses in the area and the nearest course to central Bangkok, the course was re-modeled in 2003 and now takes its place as one of Bangkok’s finest championship golf courses. The golf course is laid out on a flat terrain and offers exciting golf and a true challenge to golfers at all levels, wide fairways give players some respite for approach shots most of which are to slightly elevated greens that are difficult to hold. The course seems to get better by the hole with the back nine offering a great variety of holes a truly memorable golfing experience. The clubhouse facilities are excellent with an international restaurant catering for all tastes.